Rihanna was spotted yesterday at a recording studio in Long Beach, California. The singer looked comfortable in a dress and sneakers. 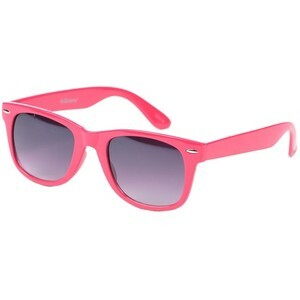 Get pink wayfarer sunglasses like Rihanna's from Charlotte Russe or Metro Park.